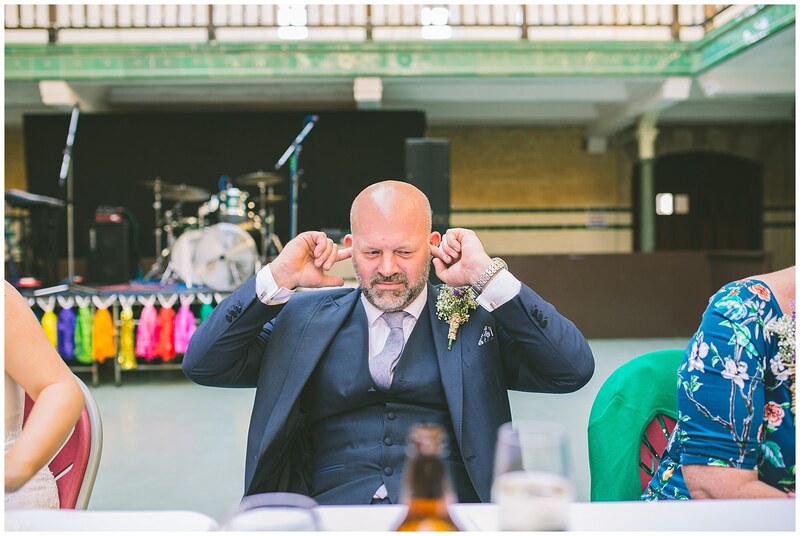 Olly is an old mate of mine from when I used to play in a band way back when. 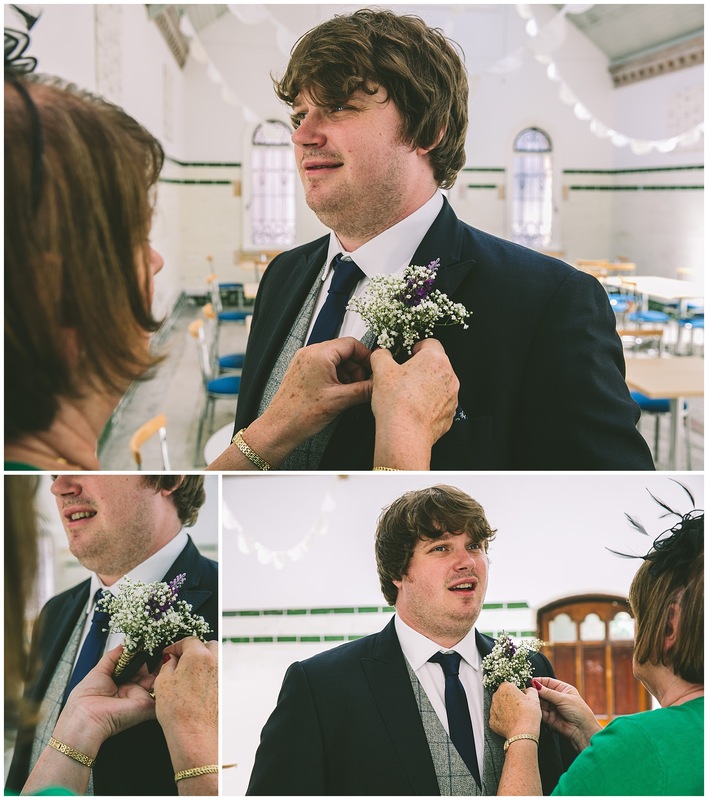 He is still a musician, while I, on the other hand, chose to pick up a camera instead. 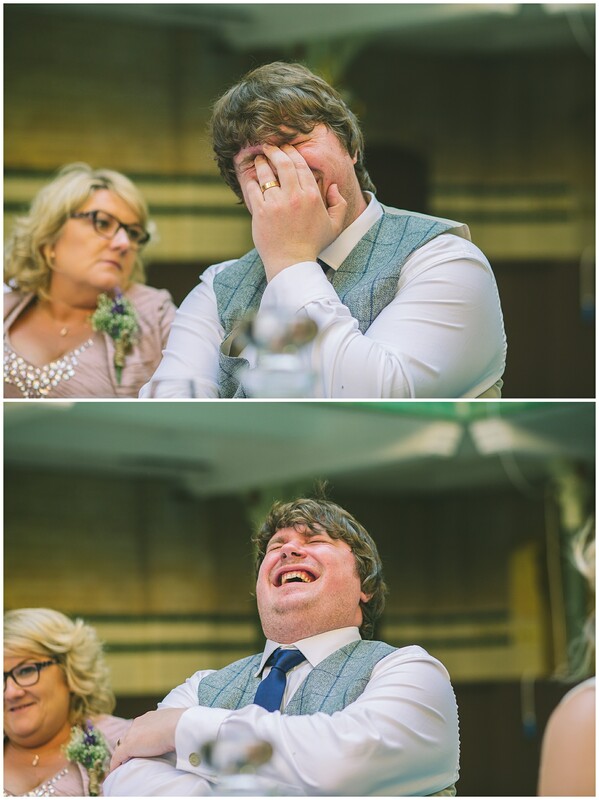 I really enjoyed shooting a wedding of a close friend. 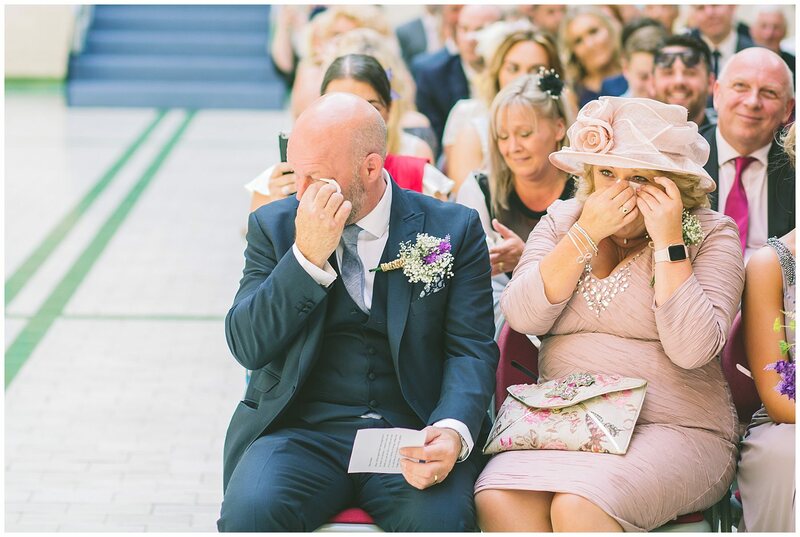 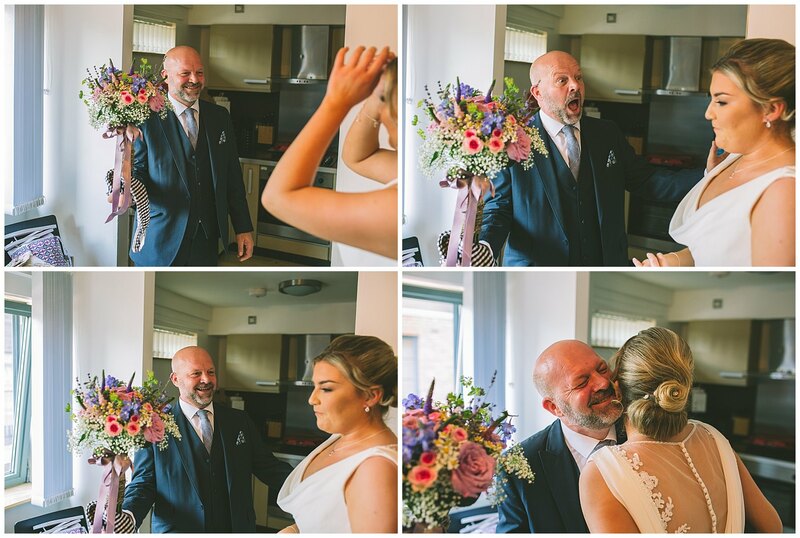 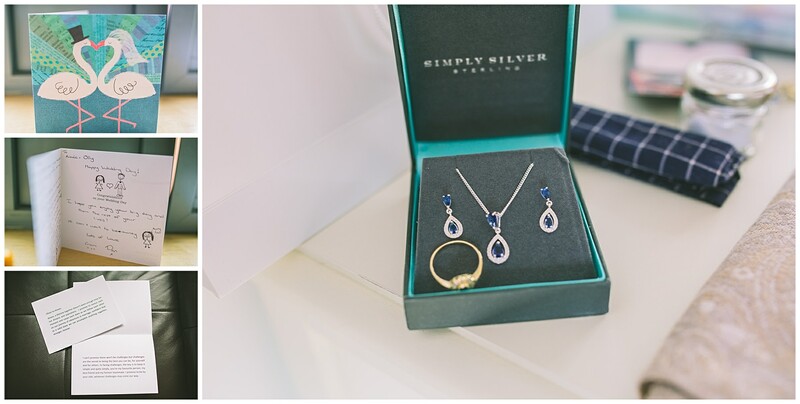 I think all weddings are special and are always an honour to be involved with, but there is something a little different when it is a friend. 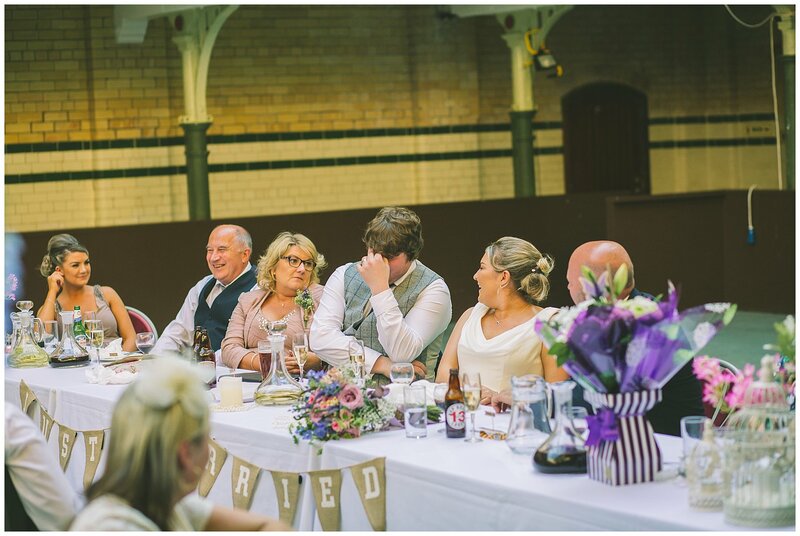 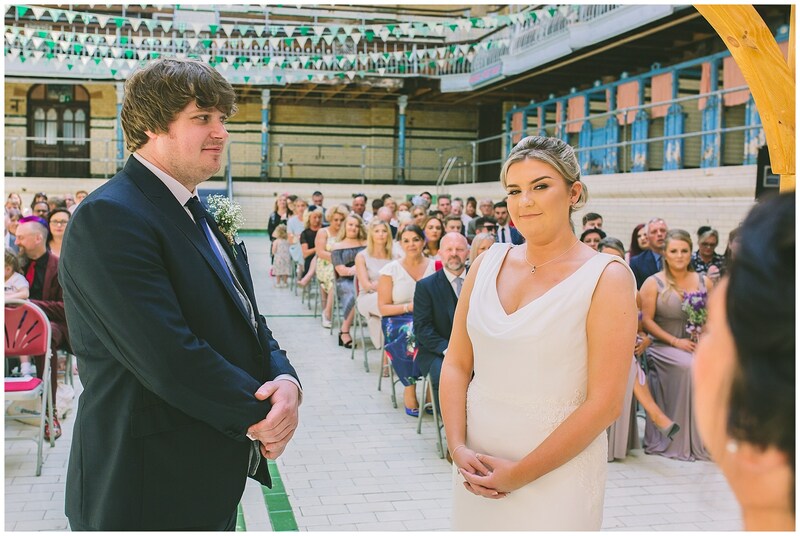 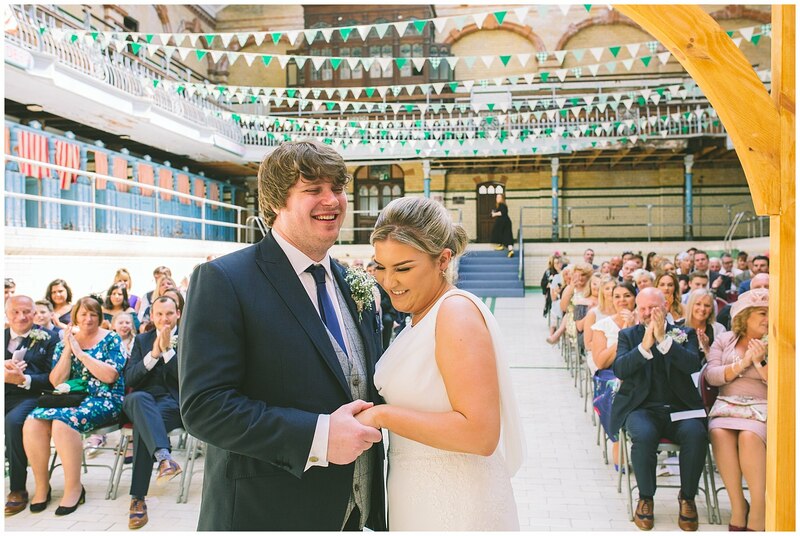 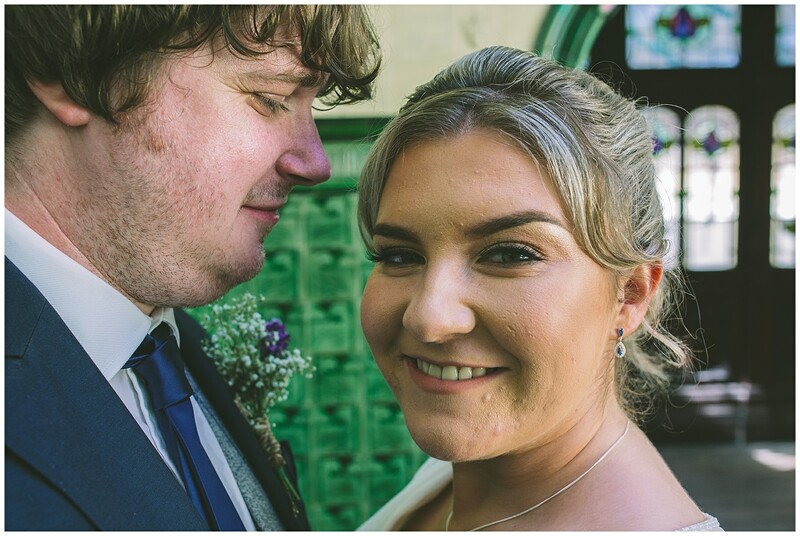 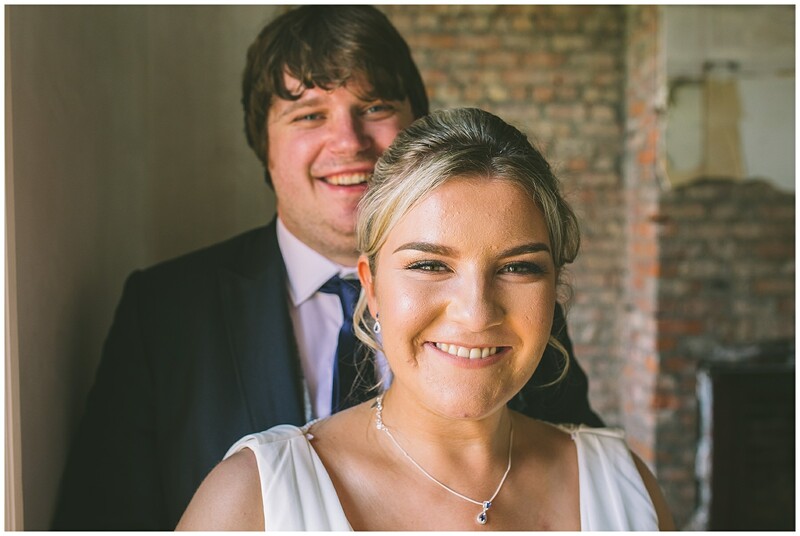 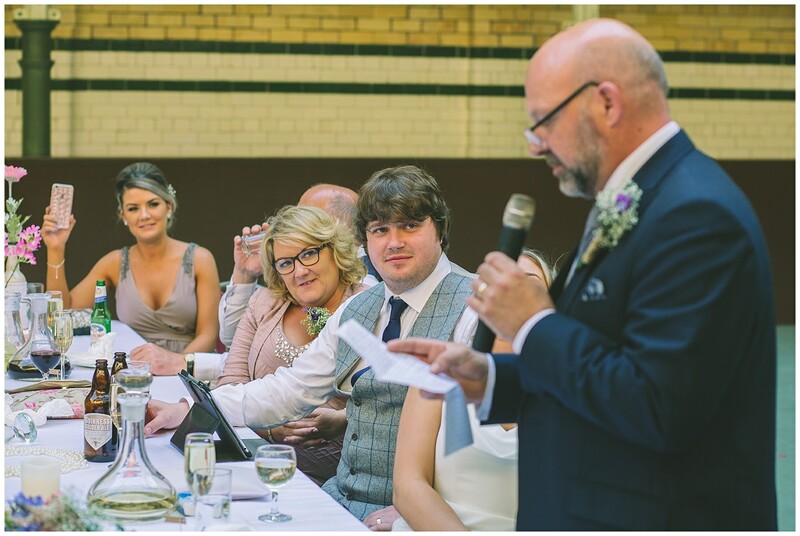 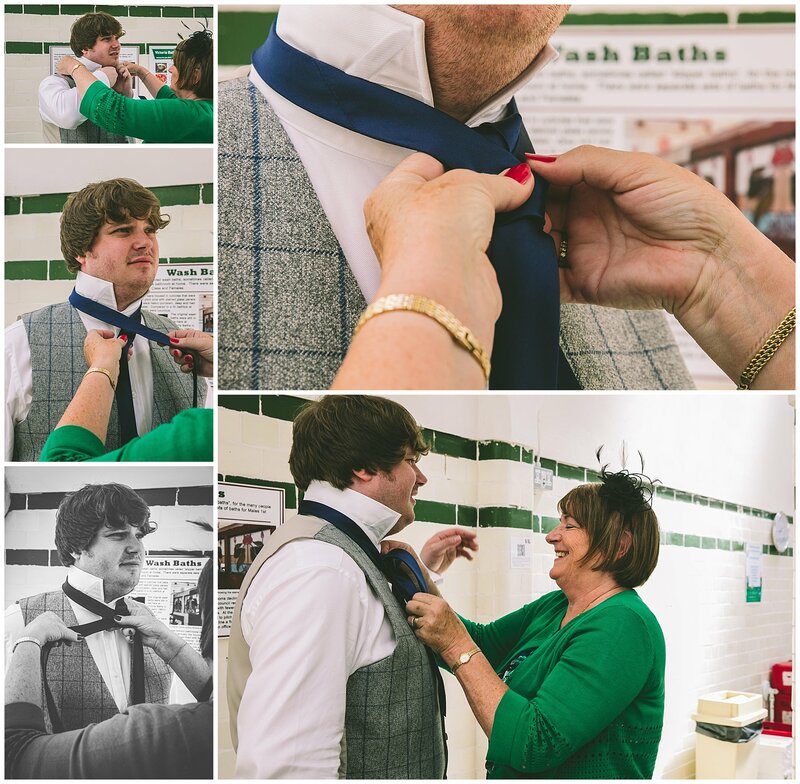 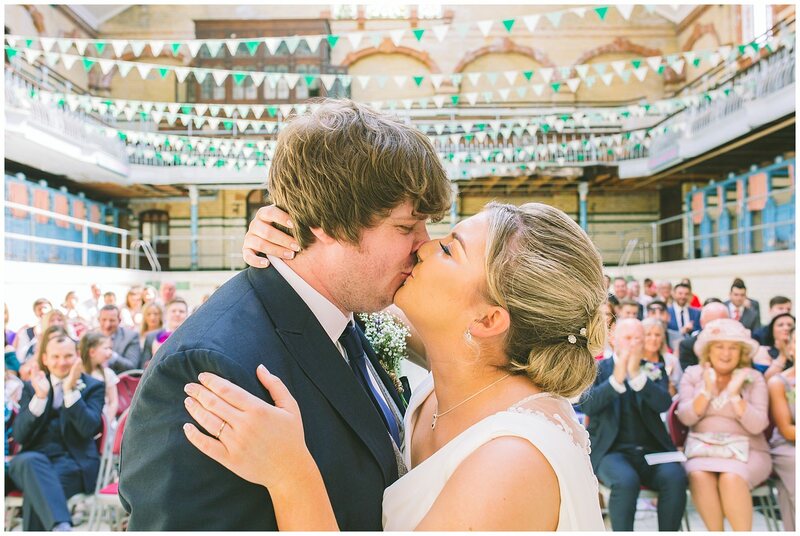 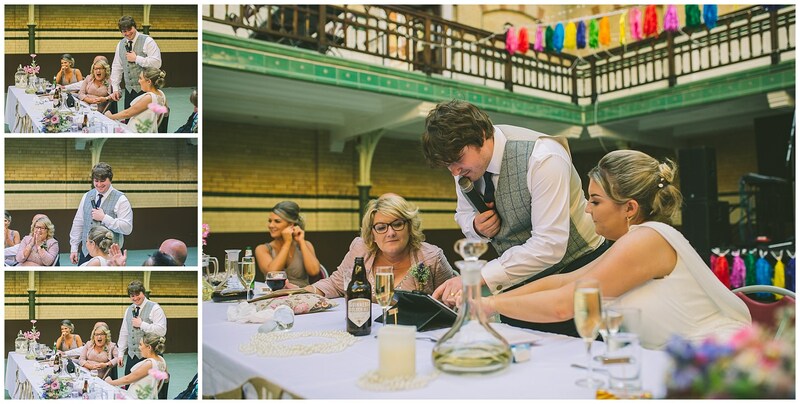 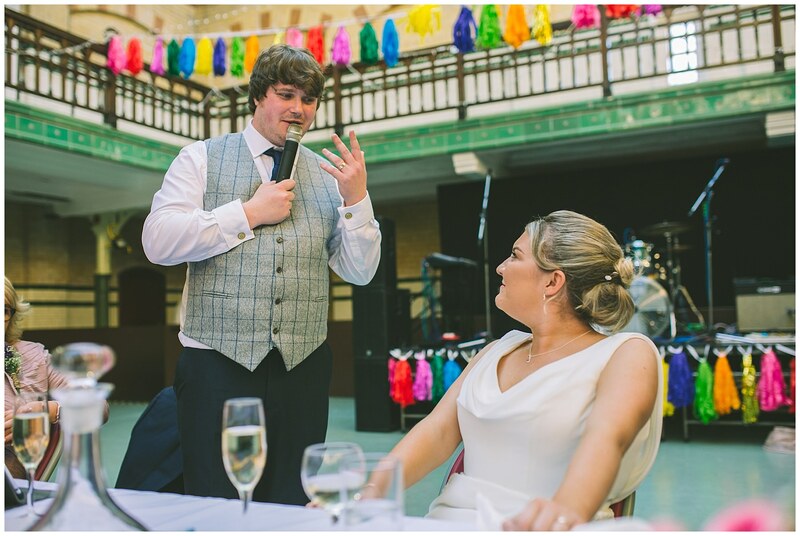 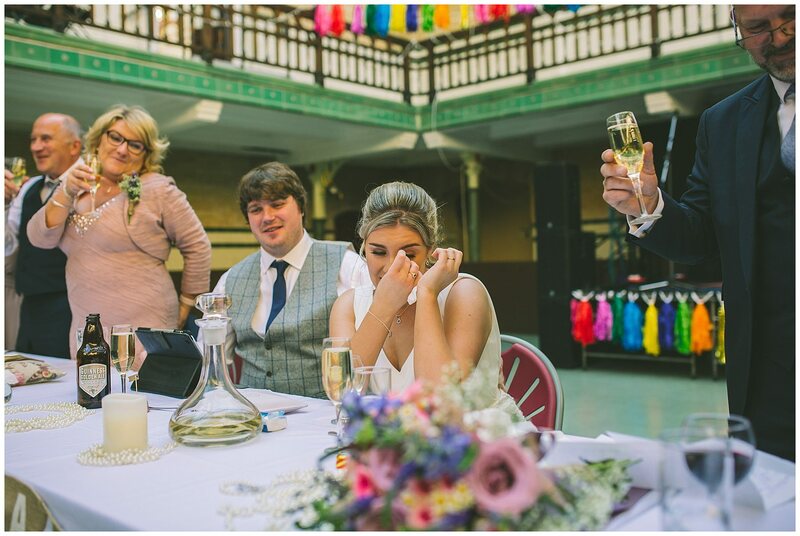 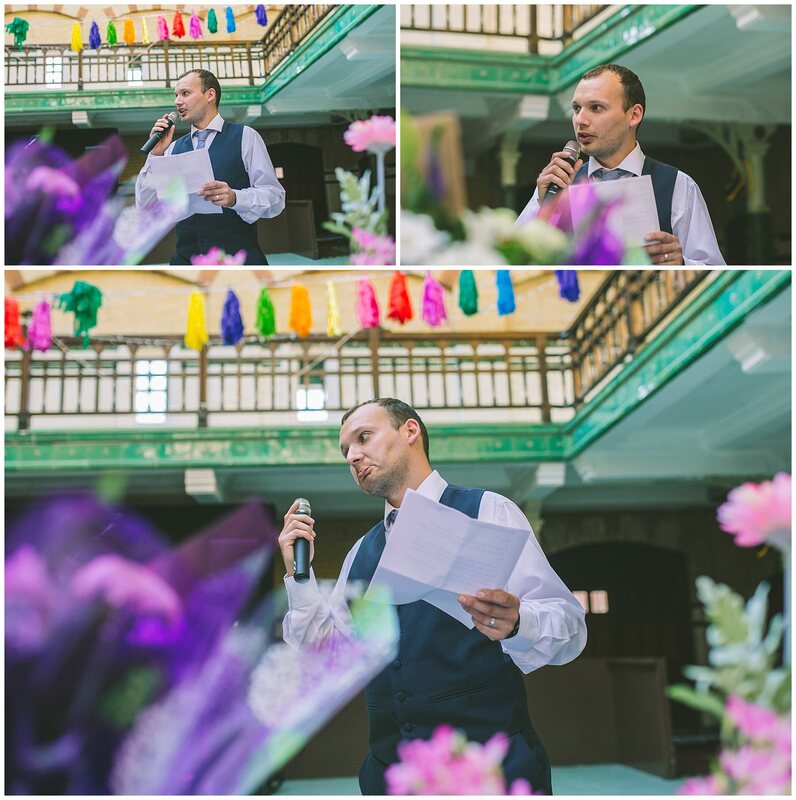 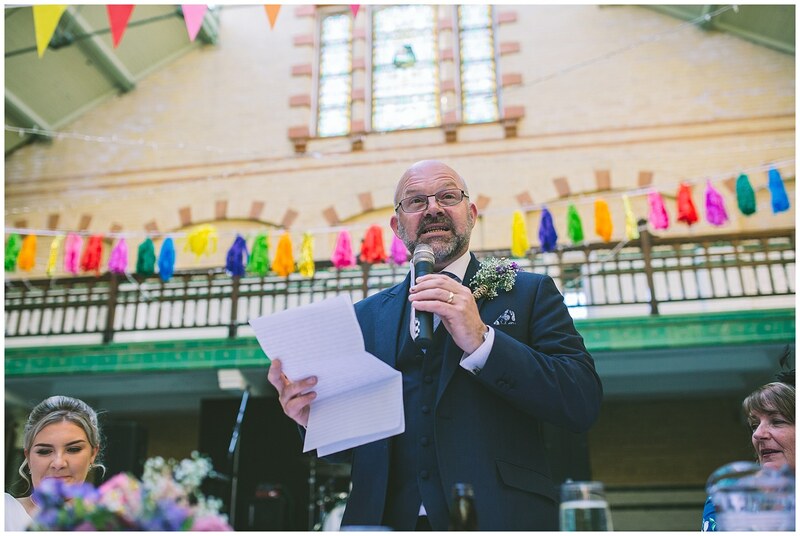 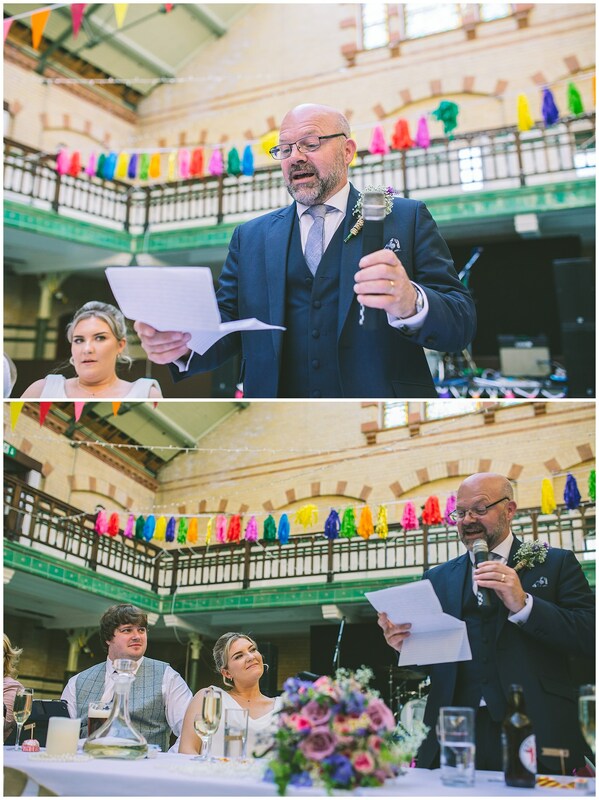 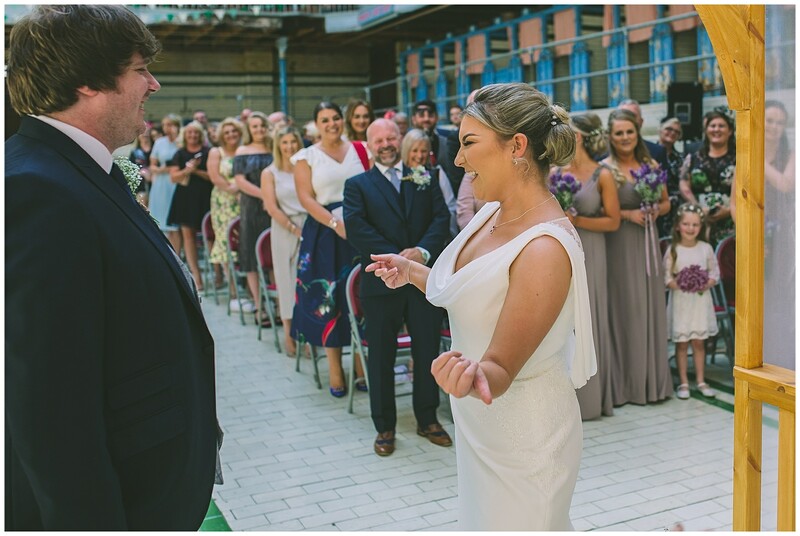 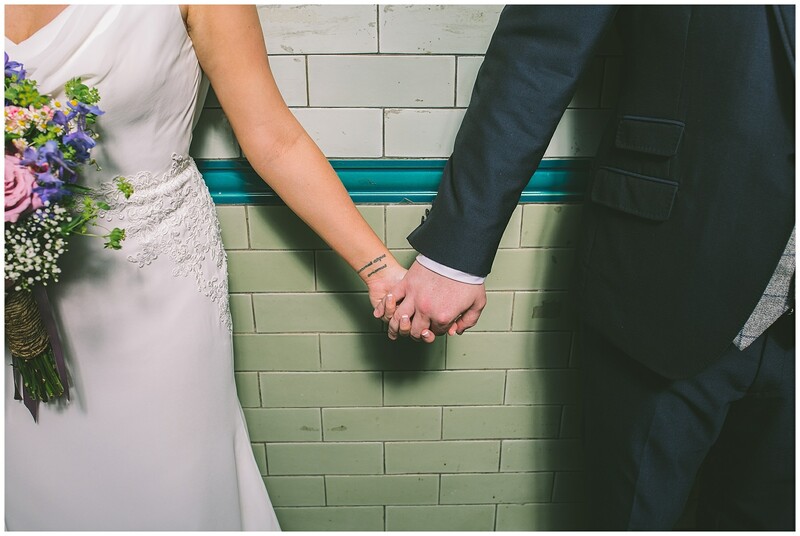 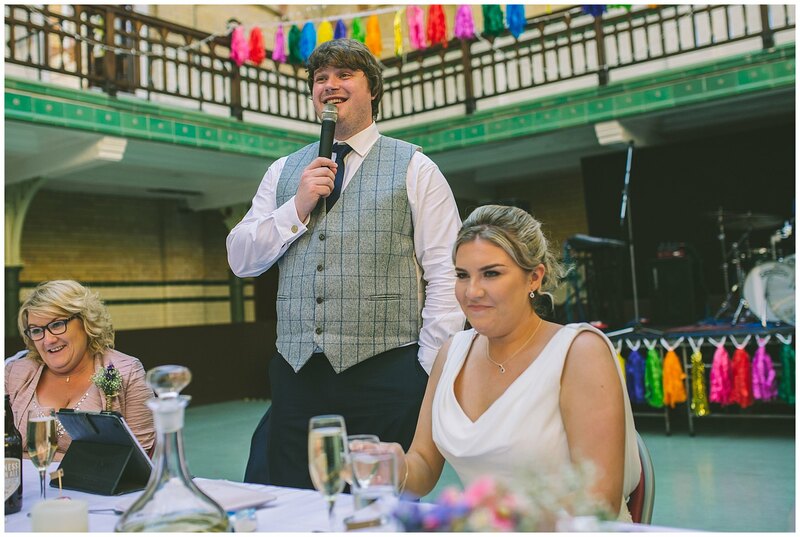 It might be the added pressure, but that’s something I thrive on so to be involved in this Victoria Baths Wedding was a real honour. 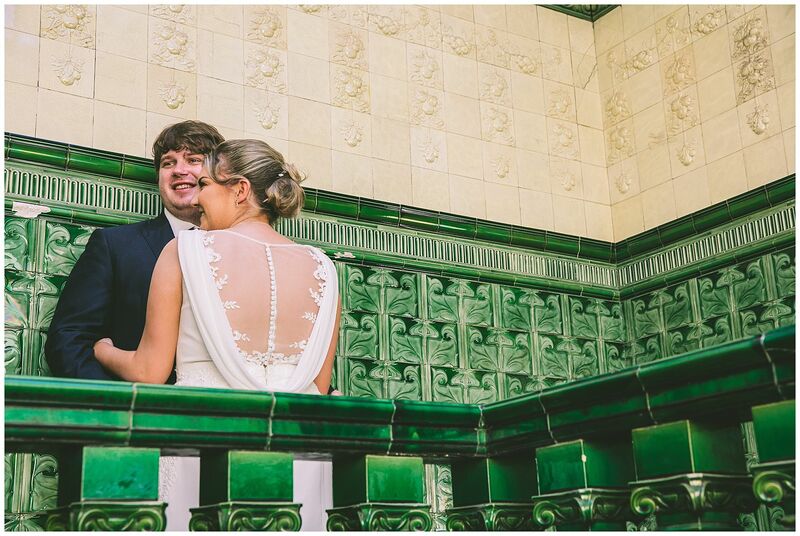 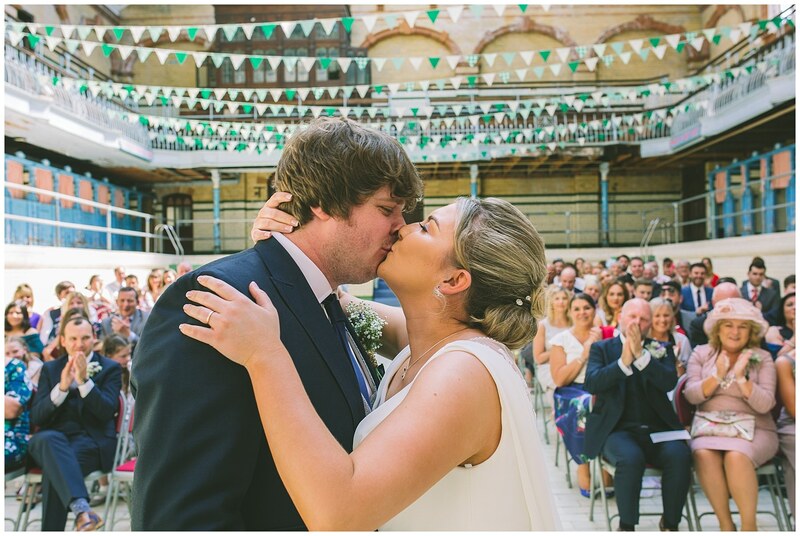 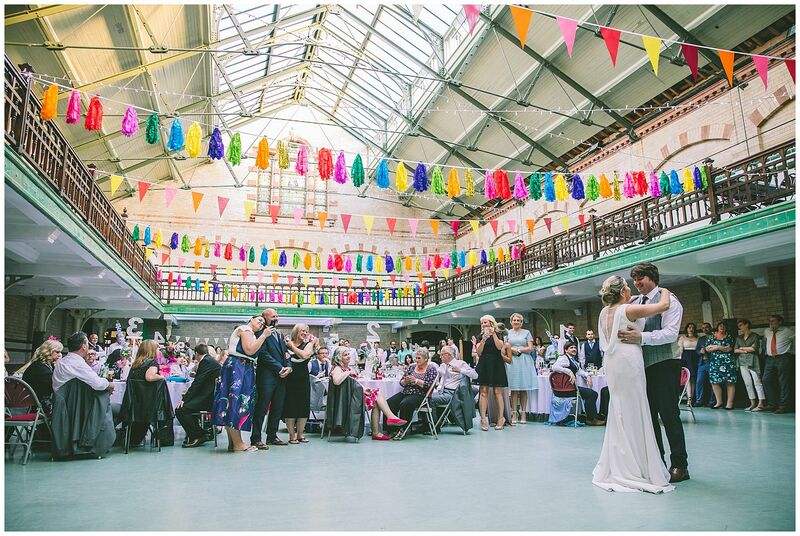 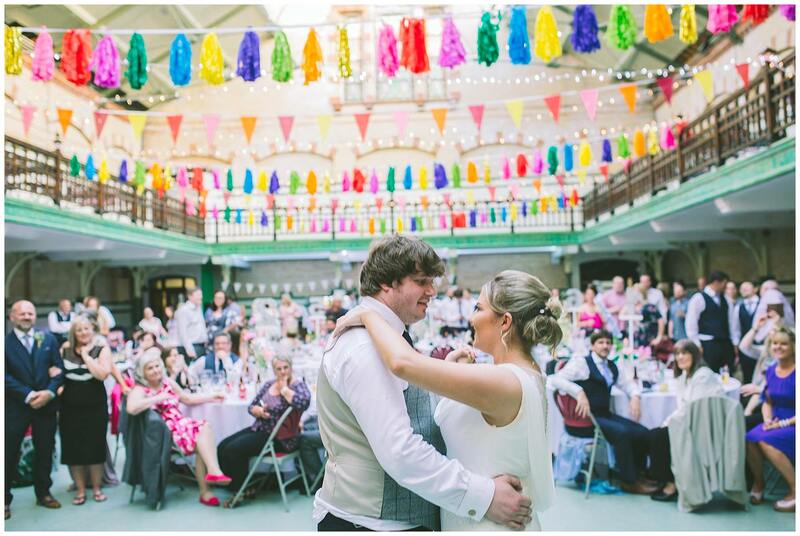 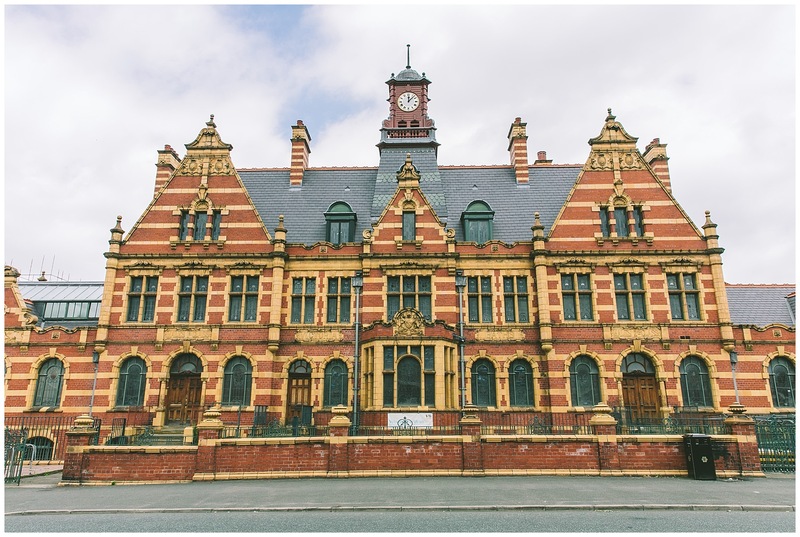 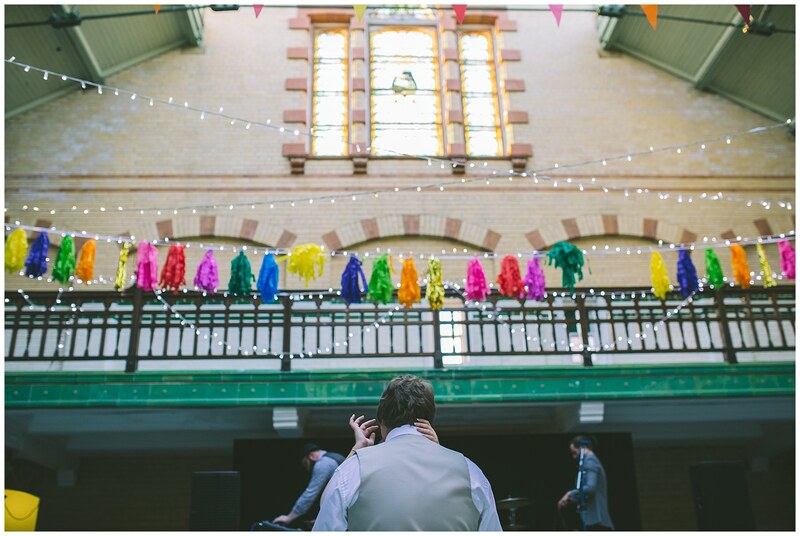 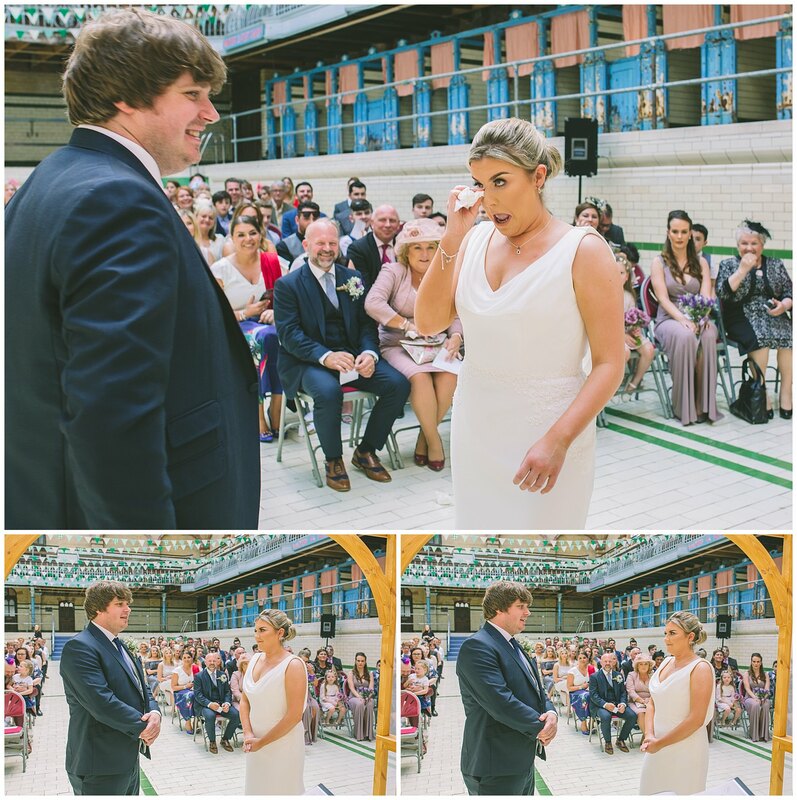 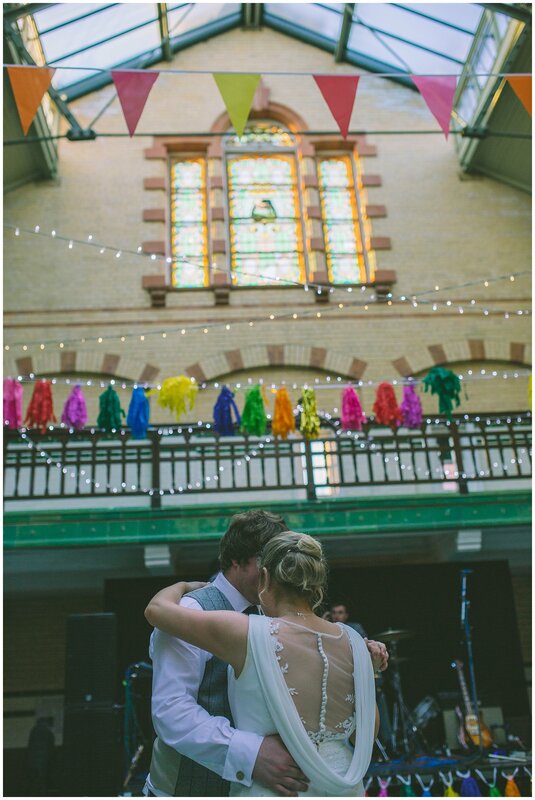 It took place at the gorgeous Victoria Baths, an Edwardian swimming bath which is in a beautiful state of disrepair. 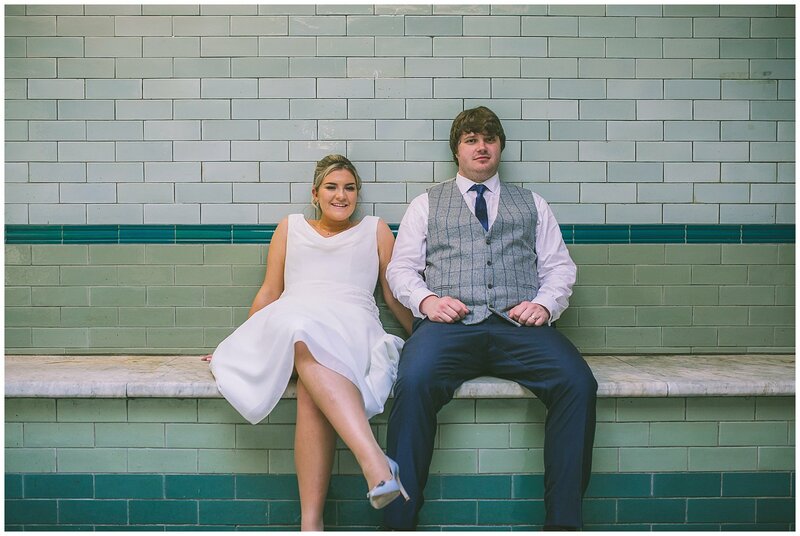 In its day, the Baths were made of the highest quality of materials and it beautiful in its own right. 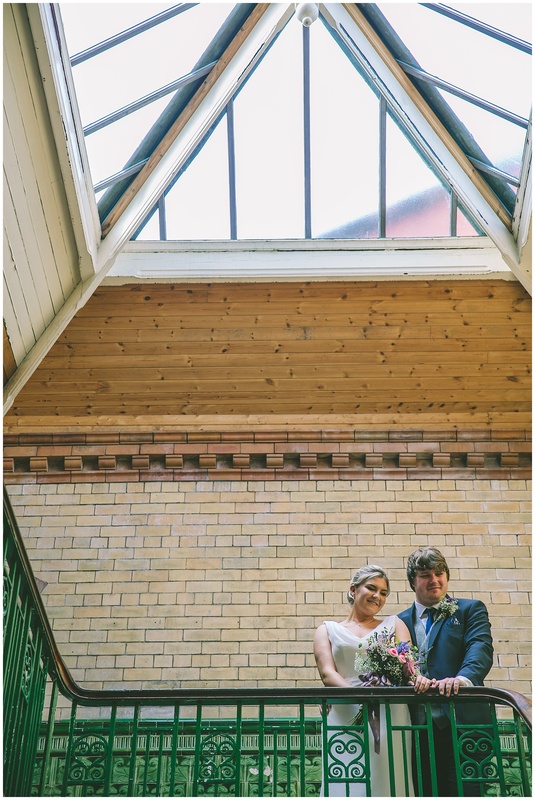 Light floods in from the glass roof and stained glass, and wooden surfaces make the space feel so luxurious. 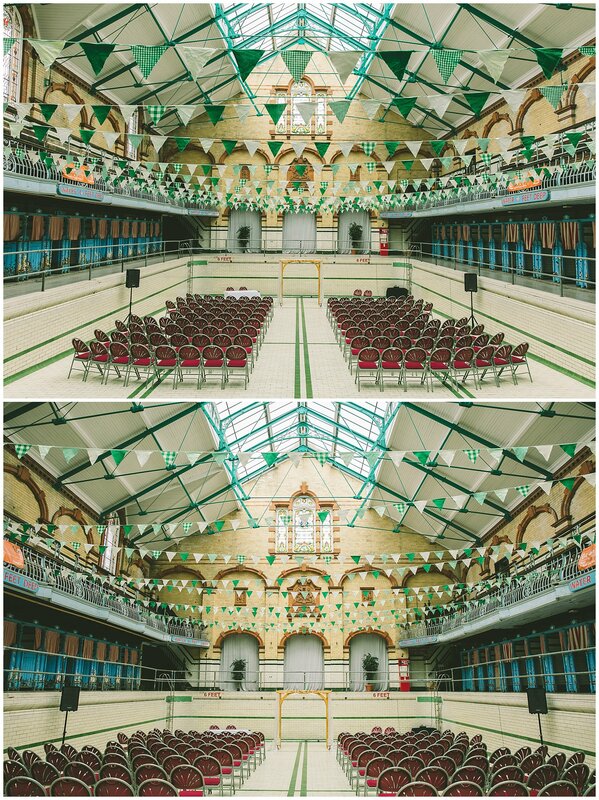 Obviously, the pools are now emptied of water but the space is still equipped with all the parts from shining emerald green tiles, all the piping and curtained changing stalls. 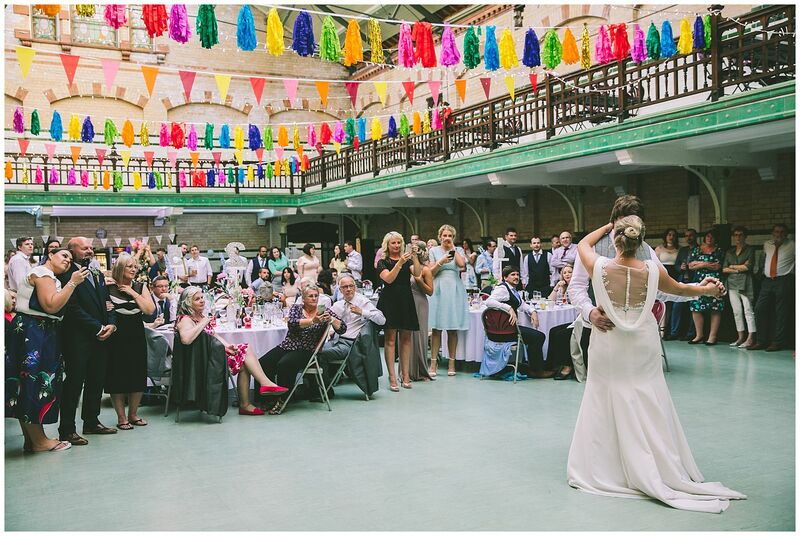 It’s certainly a wedding venue with a difference. 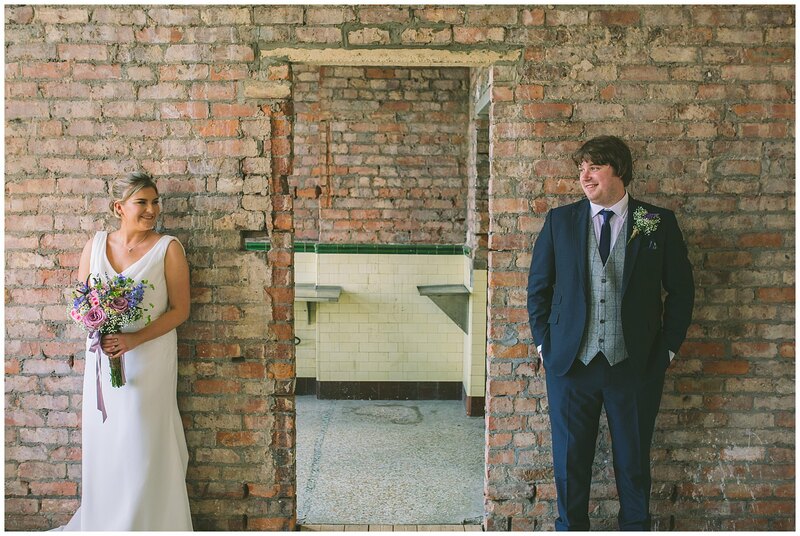 It had so much quirky charm and so many opportunities for stunning photos. 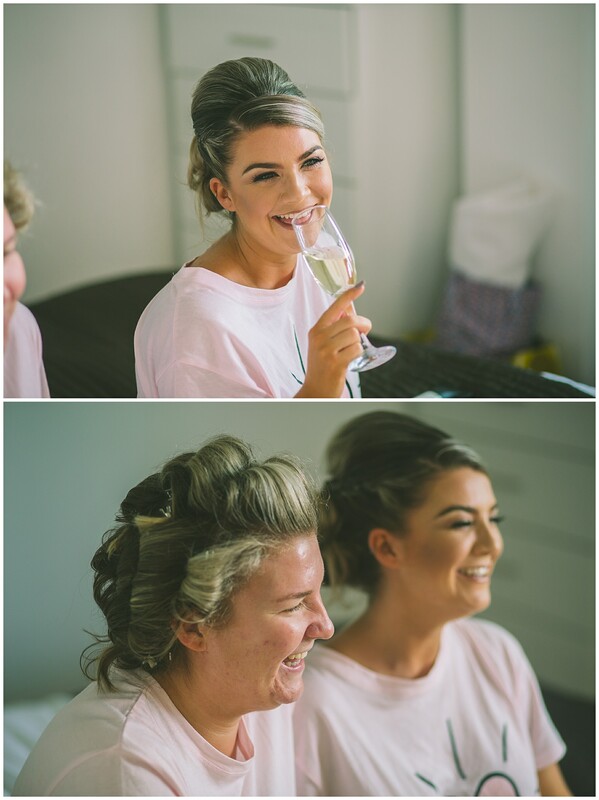 I had Olivia Whittaker helping me out. 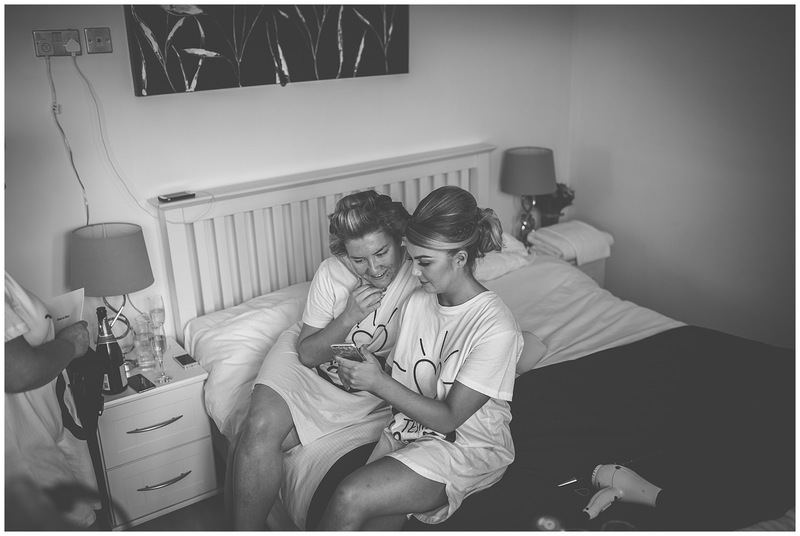 It was getting dangerously close to my son being born at this point, so I needed someone to take over in case I needed to run off. 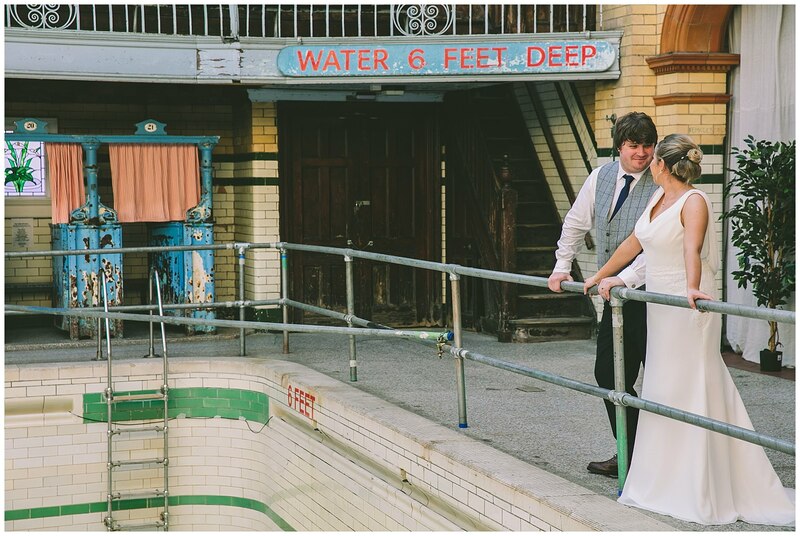 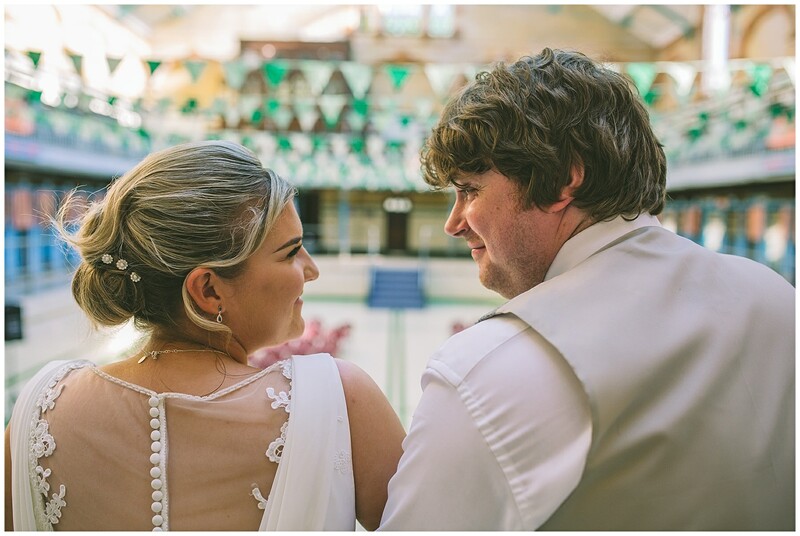 Both the ceremony and the reception took place inside the empty pools which was a bit of a novelty and so much fun. 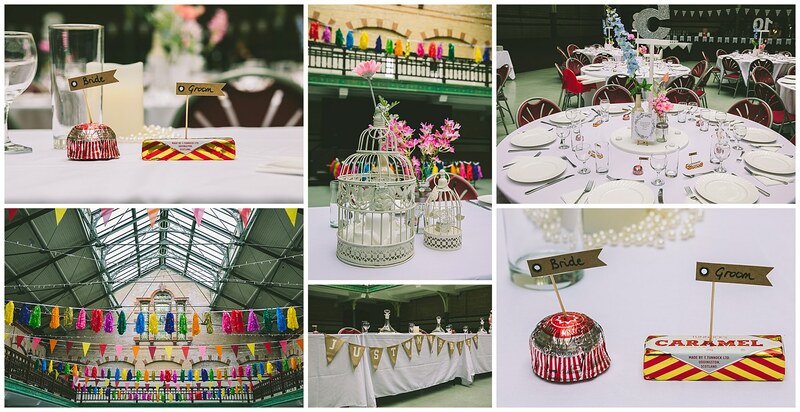 The décor was colourful, playful and bright which was descriptive of the day in general. 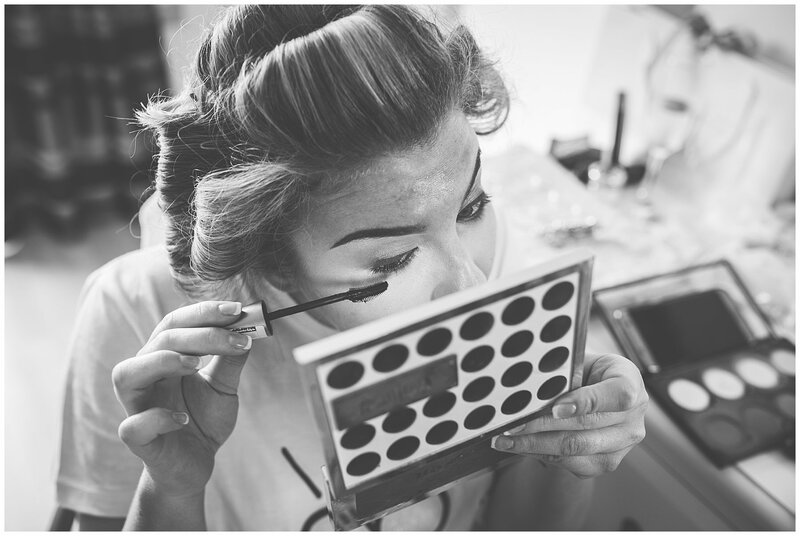 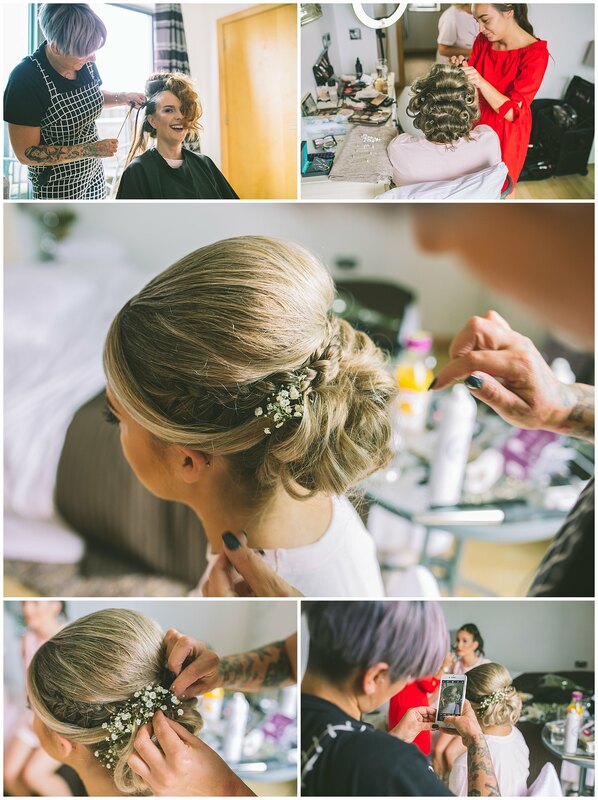 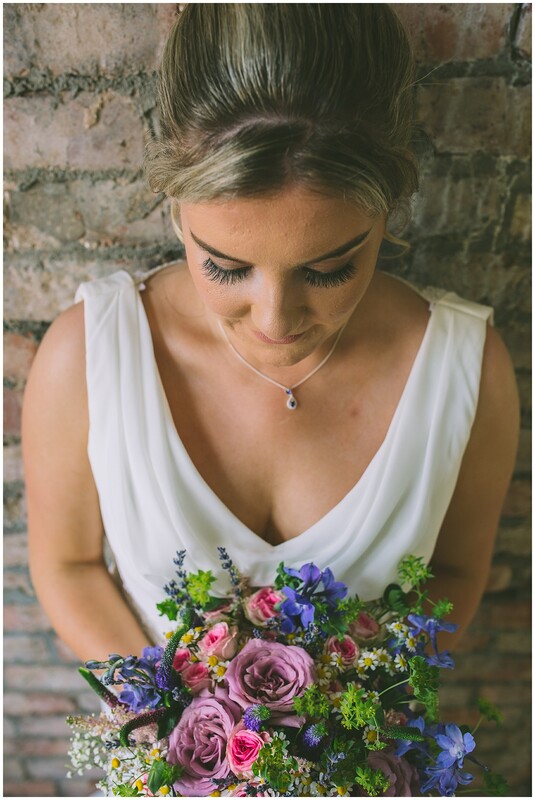 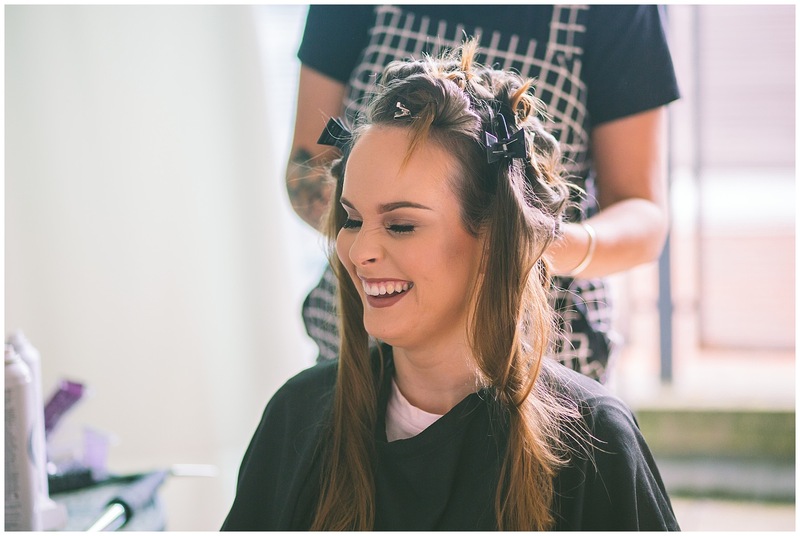 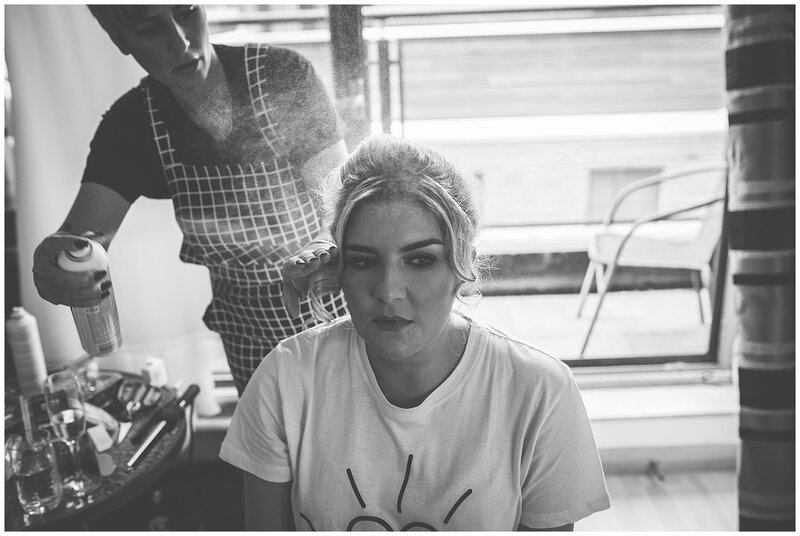 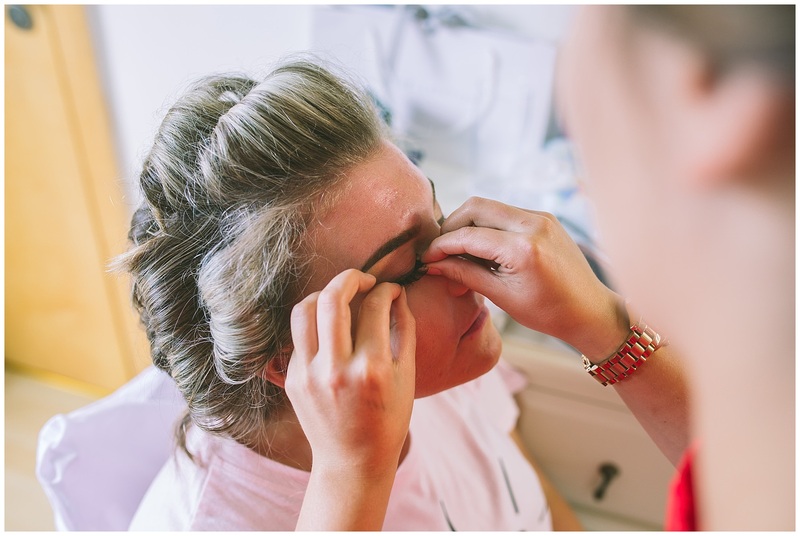 The bride got ready in Deansgate with her bridesmaids and mother. 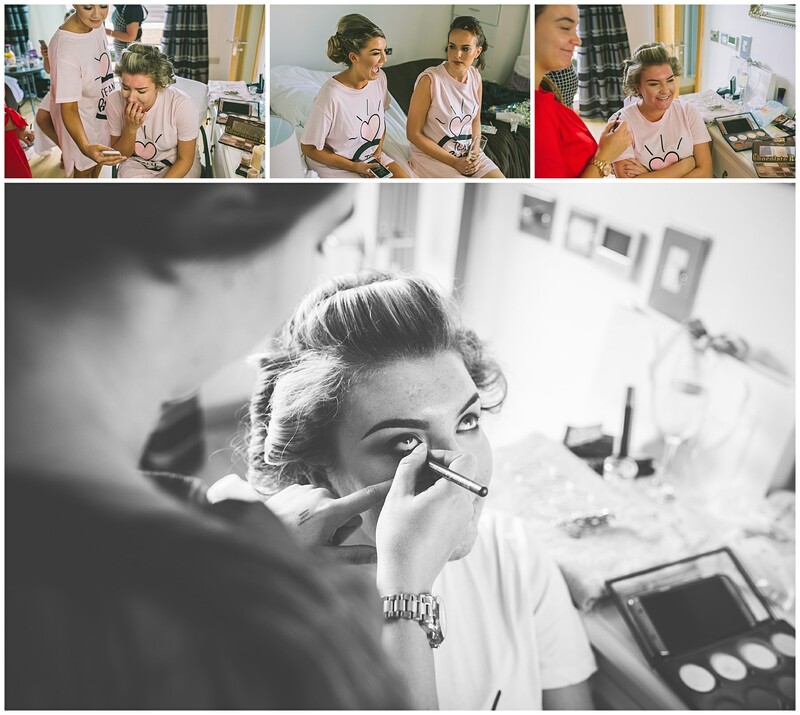 Aimee’s sister Feliciti was the maid of honour, it was so nice to see such a close family network. 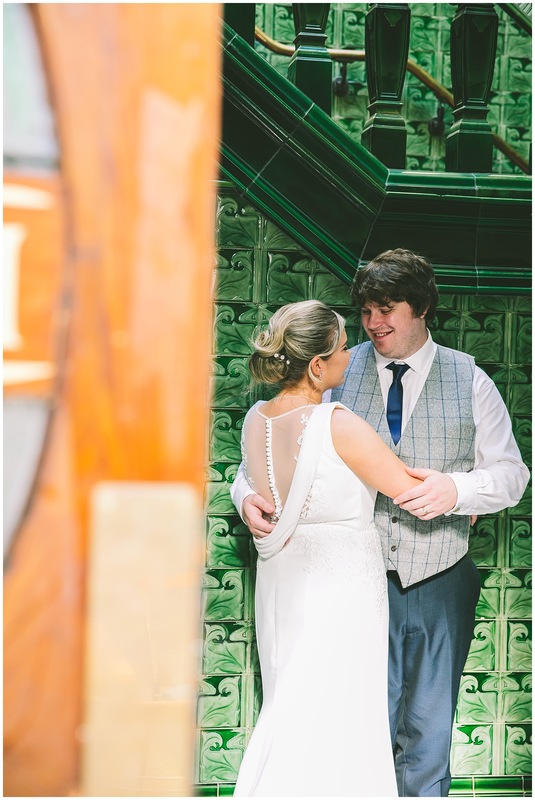 Aimee’s dress was beautiful; classic white with a vintage 1920’s look to it while Olly was dressed in blue tweed. 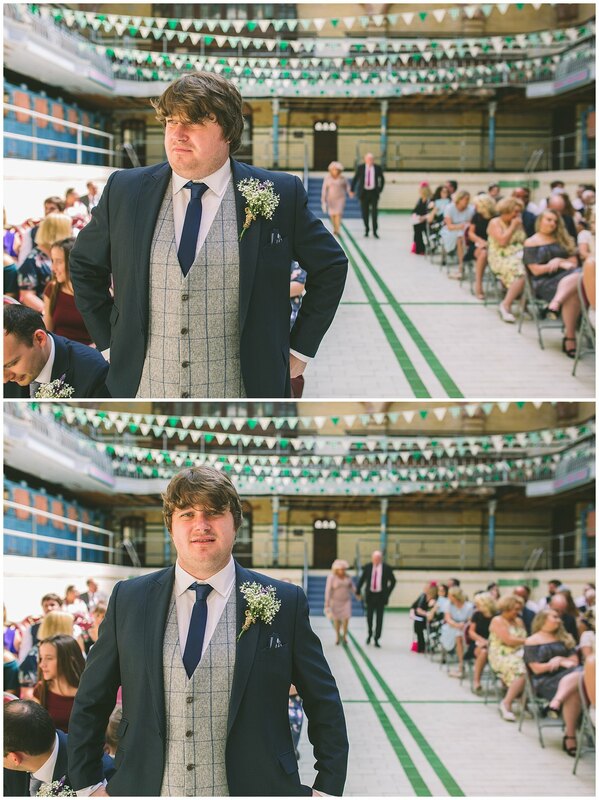 Although this looked cracking in the pictures, it might have been an unwise choice at the venue. 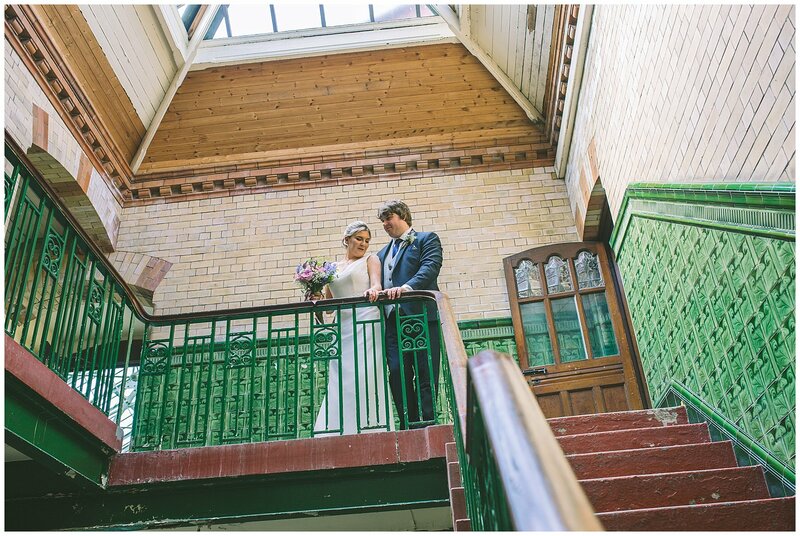 Victoria Baths, with its enormous glass ceiling, made the rooms like a sauna in the baking sunshine of June. 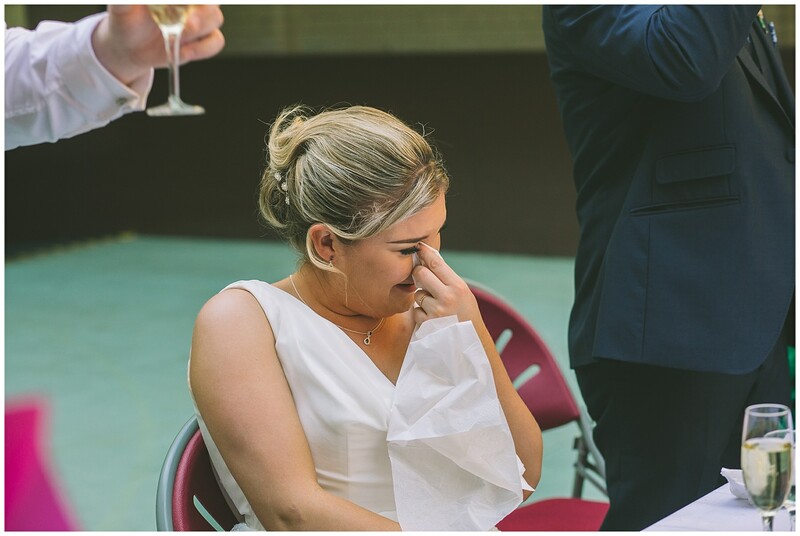 Everyone was feeling it though- even me. 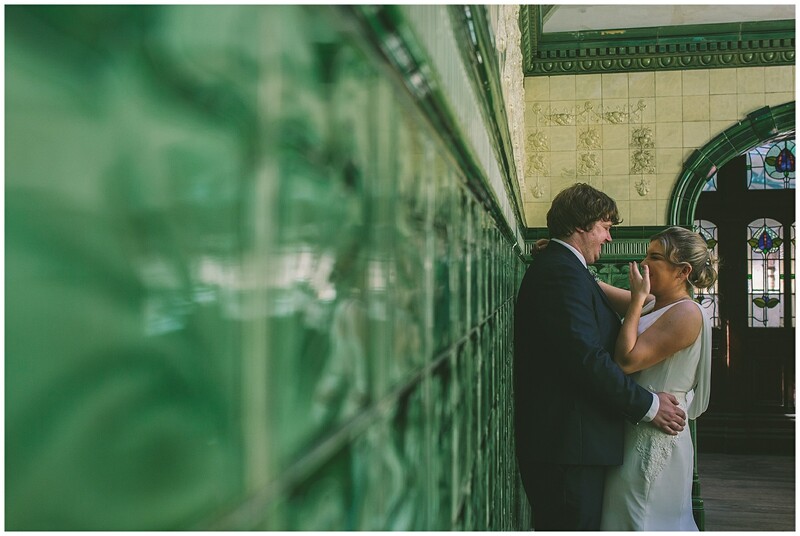 At one point we had to lie down on the tile floors to cool off. 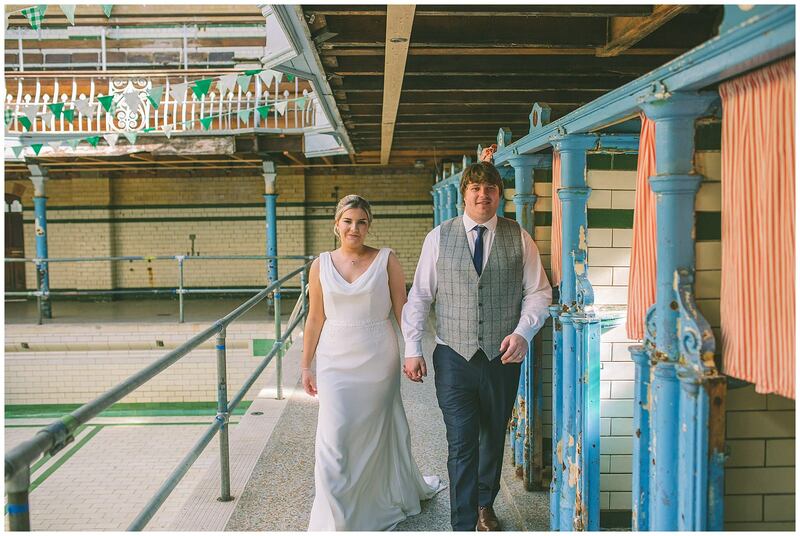 Thank you so much to the team at Victoria Baths for looking after Olivia and I on the day and for letting us have free reign around the venue for photos! 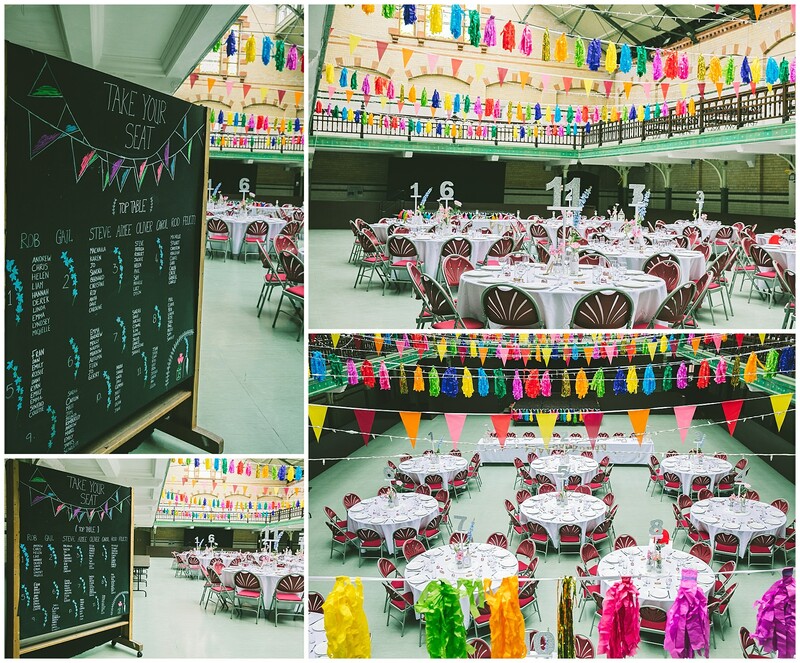 Also thank you to the catering team for looking after us and hooking us up with some real tasty food.